Bid for 42 UK Homebase stores could mean faster deliveries. Amazon is set to expand its UK property empire by snapping up a number of Homebase stores. 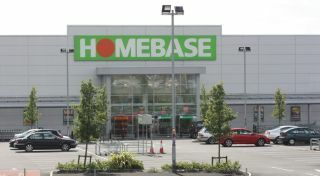 According to the Sunday Telegraph, the online retail giant is looking to acquire Homebase stores around the UK as it looks to extend its network of warehouses. Homebase is currently undergoing a major overhaul that includes offloading 42 of its 241 UK stores as part of a company voluntary agreement (CVA) adopted by the chain's new owners Hilco. The company is looking to close stores in order to cut costs after being acquired for £1 earlier this year, with up to 70 more stores potentially at risk. If completed, the Homebase sites, many of which are situated in urban locations in major towns and cities, could become "last mile" warehouses, allowing for quicker delivery times for items ordered from the site. This could include superfast one-hour delivery times in areas such as Central London, with much of its stock currently stored in warehouses outside of cities. The news comes shortly after it was claimed Amazon was looking to move into financial services as it looks to further its operations in new areas. The move could lead to Amazon setting up a price comparison site where consumers could match offers on a variety of services such as home or car insurance.